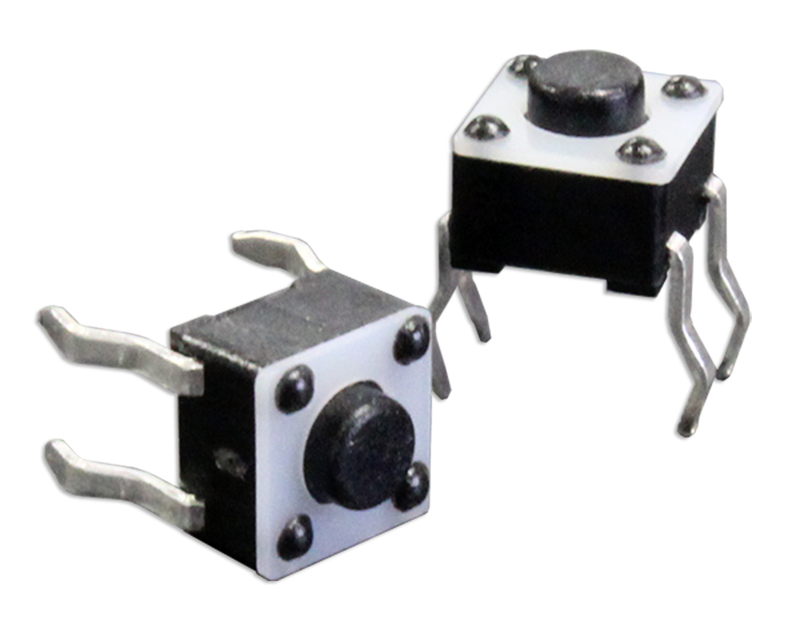 The CT1104 Series single pole single throw tactile switch is momentary with through-hole termination. 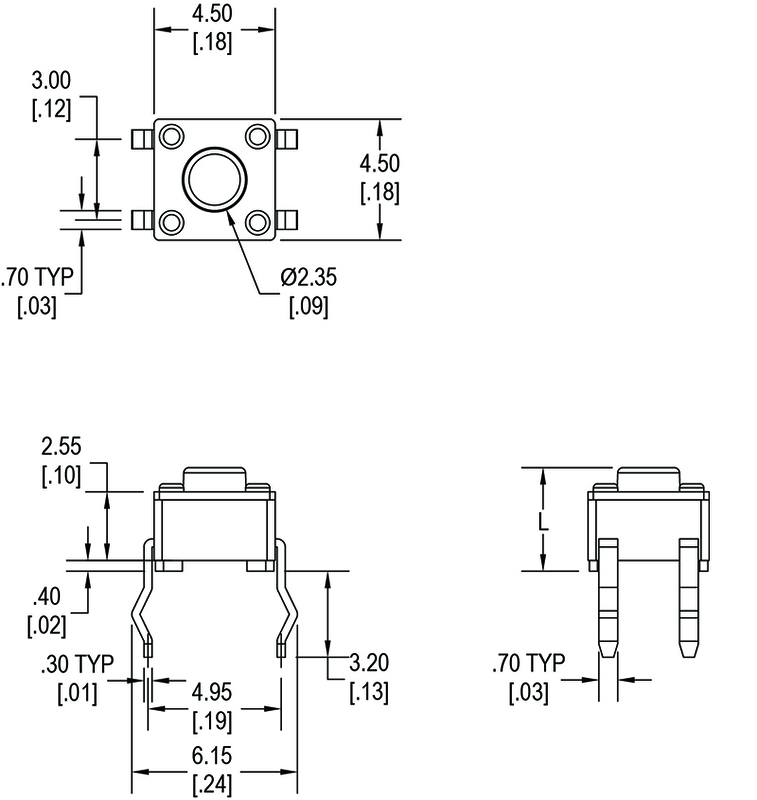 Actuation force options are 160gF or 260gF and actuation travel of .25mm. Body size is 4.5mm square.